It is a cold truth: the older we get the more complicated our lives tend to get. We meet friends, then break away from them because we realize they are not the best fit. We fall in love, and have to deal with someone else’s quirks and oddities, we get dumped, we get heartbroken and we simply find ourselves struggling to find happiness. 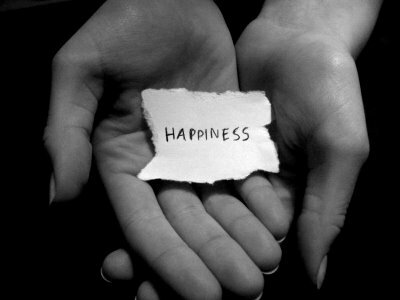 Happiness… the one thing that seems to elude most of us. We tend to believe that by acquiring society’s list of ‘things that make you happy’ such as the latest car or cellphone, the most beautiful apartment in the best location, and of course the partner, or soul mate you ought to find by a certain age will help fill our void for happiness. Sadly, these things sometimes do not come soon enough, so we start to sink into the pit of unhappiness. · De-clutter your life: How many unnecessary friendships do you keep up with? How many broken relationships are you holding on to at your detriment? How often do you listen to the gossip train only to discover you are the topic of discussion and your so-called friends are behind it? It is time to reduce the clutter in your life. It is time to break the bonds that are hurting you and burn the bridges that are taking you nowhere. Friendships where all you do is put other people down is a clutter on its own! Hanging on to an ex who is now with someone else but just can’t let go of you is clutter! You need to throw out the unnecessary stuff, and ‘spring clean’ your life! · Worry less: What many of us are unaware of is the fact that our lives are full of unnecessary worries born from unnecessary desires and expectations. We spend most of our time worrying about things that do not affect us in any way. Some of us worry about the future when there is nothing to be scared of in the future. Sometimes we worry about our finances, not because we are not doing well financially but because we have an insatiable yearning for more. We clutter our lives by allowing unimportant individuals, especially our critics rent space in our heads and dump all their negativity there. To get rid of clutter, make a mental note to swerve away from thoughts of worry! Trust that God has your back, and everything will work out perfectly in the end! Most of the things you are worried about will most likely not happen anyway. · Fall in Love… with yourself! This is the first step to attaining happiness. If there is something about yourself that you do not like, change it! If you don’t like where you are, move, afterall you are not a tree. If you realize something makes you feel negative or unhappy, don’t engage in it. But by all means, love yourself! Love yourself so much, it makes people wonder. Pamper yourself, titivate yourself, and say positive things about yourself, not in a bragging tone or with pride, but with the deepest sincerity and honesty. Love yourself, I can’t stress this hard enough, for the more you love yourself, the more life will love you. · Be Grateful: The earlier you learn that you will not always have everything, that your life will not always be perfect, the easier it will be for you to practice gratitude for whatever little, or whatever much you have. Loving yourself ties in very much with gratitude. Wake up every morning and thank God for anything you can think of, even if it is something as insignificant as your smile or your skin tone (I’m sure you can come up with better). A heart of gratitude hardly ever experiences unhappiness. A heart filled with gratitude is a heart void of worry because you know your gratitude will never run out. The fact is the happier you are internally as an individual, without depending on external influences, the higher your chances of success in life!